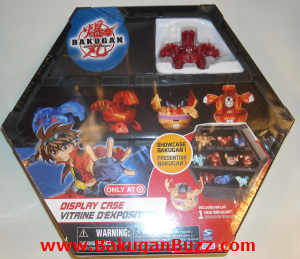 These Bakugan Display Cases are a Target Exclusive. They retail for $14.99. 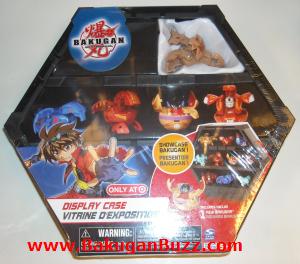 The cases include one bakugan and so far there are 6 different versions that include a bakugan from the 6 different attributes. 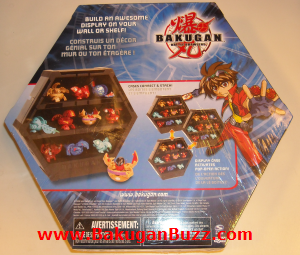 All of the bakugan included are 550g ( just like the target exclusive character packs ). 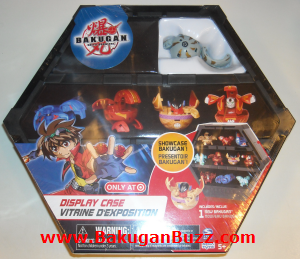 The display cases appear to have enough room to display 10 bakugan. There is a strip on each "shelf" that is metal to allow the bakugan to be displayed in its "open" state and hold them in place. 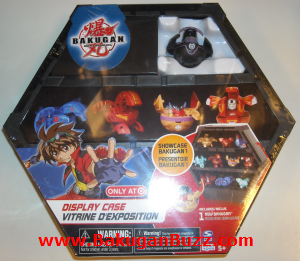 The display cases have the ability to interlock as well so you can stack them in many different ways to create a larger display. 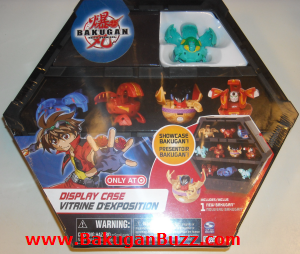 below are the 6 current cases in my area.